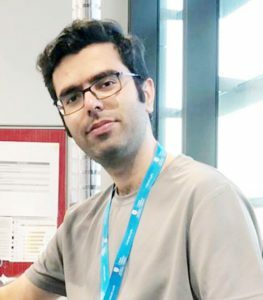 The Centre congratu lates Mr Mohammadreza (Reza) Ghodski on being awarded a Freemasons Foundation Centre for Men’s Health PhD Scholarship top-up award. The top-up supplements Reza’s Australian Government Research Training Program Scholarship. Reza has a Master of Science degree in clinical biochemistry from Tabriz University of Medical Sciences, in Iran. His Masters thesis was “Designing of liposomal network based electrochemical biosensor for detection of Telomerase activity in cancerous cells”. For his PhD program Reza is investigating androgen receptor reprogramming as a treatment for prostate cancer using 3D bioengineered models.His supervisors are Dr Luke Selth, head of Prostate Cancer Research in the Dame Roma Mitchell Cancer Research Laboratories in the Adelaide Medical School, the University of Adelaidem and Prof Benjamin Thierry from Bioengineering, Future Industries Institute, University of South Australia. This entry was posted in News and tagged androgen receptor, bioengneering, DRMCRL, PhD, prostate cancer. Bookmark the permalink.